When you were born, you had beautiful flawlessly smooth soft skin. Then you immediately started to age! Unfortunately, aging is one of those things that is an absolute certainty in life. It is unavoidable, and it happens to everyone. However, your skin doesn’t have to visibly age quite as rapidly as the rest of you. It’s simply a case of understanding how your skin functions and adopting effective skin care routines and natural wrinkle treatment very early in life. The human skin is composed of 3 layers – the epidermis, the dermis and the subcutaneous tissue. The epidermis is the outer most layer, the one that is visible to the world. This relatively thin but tough layer protects your inner layers of skin from the external environment. The epidermis is composed of keratinocytes. These cells are produced at the innermost level of the epidermis layer, close to the dermal-epidermal junction. They then move to the surface where they eventually flake off. This is a continuous process. Your epidermis is constantly renewing itself by producing new keratinocytes and moving them to the surface. The dermis is the second layer of skin. This is the layer with the structural elements of your skin. These structural elements consist mostly of different types of connective tissue, which all play a role in the overall integrity of your skin. Important types of connective skin tissues include collagen, elastin fibers and glycosaminoglycans. Collagen is what gives your skin its strength. Elastin fibers give it flexibility and elasticity. Glycosaminoglycans (GAGs) are a protein that maintains and supports collagen and elastin and provides the skin with turgidity, or bounce. GAGs also enhance the moisture retaining capacity of collagen and elastin fibers. The area where the epidermis and dermis join is the dermal-epidermal junction. This vitally important component of your skin interlocks these 2 layers together by means of rete ridges, finger-like folds that increase the inner surface area of the epidermis. This gives the epidermis optimal exposure to the blood vessels that supply it with nutrients. Last but not least is the subcutaneous tissue, the innermost layer of skin. This layer contains fat cells, which play an important role in thermoregulation ie they’re part of the insulation that helps keep your internal temperature steady. These fat cells also help to keep your skin looking plump and full. As we age our epidermal cells thin out, resulting in thinner, papery looking skin. This epidermal cell decrease is around 10% for every decade of life! The ability of our cells to divide and replicate also slows down. In terms of our skin, this slows down its ability to repair itself so injuries take longer to heal than they did when we were younger. Our epidermal cells also start losing their ability to ‘stick’ together to help retain surface moisture. The result is increasingly dry skin. This is where using a good wrinkles cream will pay off. Underneath the epidermis, the dermis also suffers from age-related changes. We produce less collagen as we age and elastin fibers wear out. These are the skin’s two most important structural components, the ones that help it retain elasticity, flexibility and strength. As these components wear out and production diminishes, the skin starts to sag and wrinkle. Furthermore, those rete ridges that supply the epidermis with vital nutrition also flatten out, reducing the amount of nutrition flowing through to the epidermis. The result is increasingly fragile skin. And whilst all this is going on in the 2 outermost layers of skin, the fat cells in the subcutaneous tissue are also thinning out. This further reduces the structural support that keeps the skin smooth and plump. Ergo, more sagging and more wrinkles….! 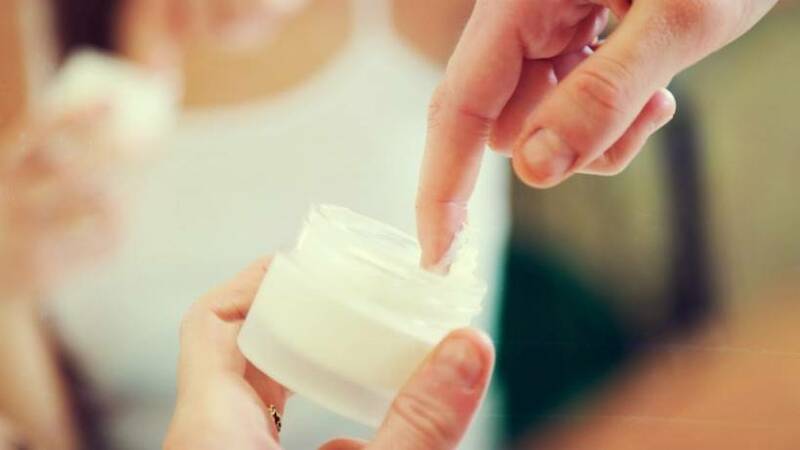 Getting into the habit of using wrinkles creams and moisturizers early in life will help slow down this aging process but eventually time catches up with us all and those pesky wrinkles will start to appear. Even so, there are things you can do to slow down this process and maintain healthy, youthful looking skin until well into your twilight years. Here are a few tips to help you. Good skin care to keep wrinkles at bay starts at home. It starts with developing some healthy lifestyle habits. In fact, a healthy lifestyle is one of the best home remedies for wrinkles there is! Exercise is good for the soul, or so they say. It’s also very good for your overall health and well-being, and for your skin! Exercise keeps your body fit and burns up excess sugar and fat you may be consuming. 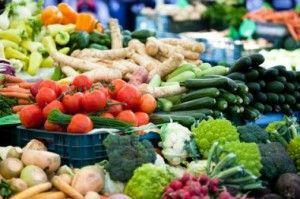 It gets your blood pumping, which distributes more of those nutrients you’re getting from your healthy diet to your dermal-epidermal junction. This in turn keeps your epidermis healthy. Exercise also releases endorphins, the hormone that makes you feel good. Which brings us nicely to another tip for looking younger for longer. Have you ever noticed that happy people always look younger than gloomy people? People who are happy tend to be infectious and vibrant, which is reflected in their skin. A big part of being happy is feeling fit and healthy, which as we’ve discussed already plays a big role in maintaining youthful skin. Excessive drinking and smoking are two of the very worst things you can do for your skin, and your health in general. If you don’t want your skin to age prematurely, don’t get started on these vices! If this timely piece of advice has come too late for you, the good thing is that it’s never too late to give them up, or at least cut right back. Stress is another skin ager. Worry and stress not only contribute to hypertension and anxiety, which are proven detrimental to your health generally, they also contribute to the development of wrinkles and fine lines in your skin. So ditch the stress and anxiety; your skin and your health generally will both thank you for it. When It Comes To Wrinkles Treatment You, And Your Skin, Are What You Eat! We kept the best natural wrinkles treatment tip til last, which is ensuring you have a healthy, balanced diet. The benefits of this cannot be emphasised enough! A healthy diet provides you with the vitamins, minerals, proteins, carbohydrates, fats, sugars and fiber you need to remain healthy. It also provides the antioxidants needed to fight dangerous free radicals. Oxidative stress, which happens when the body produces more free radicals than it has antioxidants to neutralise them, significantly speeds up the aging process of our skin. This causes premature wrinkles, collagen breakdown and dry skin. A healthy diet consists of plenty of fresh fruit, vegetables, whole grains and seeds in correct, balanced amounts. Make sure you use healthy oils for cooking. It’s also preferable to use ones that are not high in omega-6 fatty acids – corn, sunflower and soy oils are all guilty of having high levels of omega-6, which makes them pro-inflammatory. It may also come as a surprise but saturated fats like coconut oil, butter and lard are actually better for cooking with as they don’t oxidize when heated. Green leafy vegetables including spinach, kale and yellow carrots. These vegetables contain a carotenoid called lutein that functions as an antioxidant and is particularly valuable for helping protect eye, skin and heart health. Spinach is also high in zinc, a mineral that maintains the skin’s collagen and elastin fibers. Beetroots contain another type of plant antioxidant called betacyanins. Research has shown that this group of antioxidants is even more powerful in many respects than the other plant antioxidant groups, namely flavonoids and carotenoids. Beans, or legumes, are known for being exceptionally high in protein. They’re also a valuable, and rich, source of antioxidants, particularly black beans, kidney beans, lentils, and pinto beans. Tomatoes and other red coloured fruits and vegetables are rich in lycopene, a very powerful antioxidant that is proven to be extremely effective at fighting UV caused free radical damage in the skin. Sweet potatoes contain plenty of beta-carotene. This antioxidant helps protect the skin from damage caused by exposure to the sun. Vitamin C rich Goji berries provide yet more antioxidants to help fight off skin damaging free radicals. Vitamin C is also valuable for maintaining collagen in the dermis to keep it firmer for longer. Another excellent source of vitamin C is the kiwi fruit. In fact, it contains more of this vitamin than most other fruits. Sunflower seeds are a good dietary source of the powerful anti-aging antioxidant vitamin E. Vitamin E helps to slow down the aging process of skin cells, keeping the skin looking younger for longer. Flaxseed contains omega 3 and omega 6 fatty acids. A diet rich in these will help maintain the fat cells in your skin’s subcutaneous tissue that plump it out and keep it looking smooth and wrinkle free. What’s not to love about chocolate! Not only is it delicious but cocoa contains a range of powerful and beneficial antioxidants that help fight the oxidative stress that causes premature aging. The darker the chocolate, the better. A note here – white chocolate, despite the name, contains no cocoa! Make some of your obligatory daily fluid intake a cup or two of tea. Both black and green teas contain catechins, polyphenols and flavonoids to provide valuable anti-aging and therapeutic benefits. Green tea though is especially high in these. Turkey meat is high in vitamins B6 and B12. It also has a lot of zinc, a mineral that is important for maintaining collagen and elastin fibers in the skin, thereby helping to retain firmness and elasticity. Salmon is rich in anti-inflammatory fats like omega-3, which reduce production of inflammatory substances and, like flax seeds, helps to shore up the fat cells in the subcutaneous tissue to prevent wrinkles and fine lines happening. Snapper is also high in anti-inflammatory fats and it comes with the added bonus of containing good amounts of selenium. Selenium helps to protect the skin against sunburn. If you’ve noticed the abundance of antioxidants in many of these foods, you’re right. Antioxidants are the key to many aspects of good health. This is because free radicals are the cause of so many health disorders as well as premature aging and skin deterioration leading to wrinkles. Including plenty of these in your diet along with balanced nutrition, getting enough exercise, quitting unhealthy habits, getting rid of stress and being happy are all very simple, effective wrinkles removal treatment. Previous post The Christie Brinkley Skin Care Line Alternative – Wrinkle Reducer!